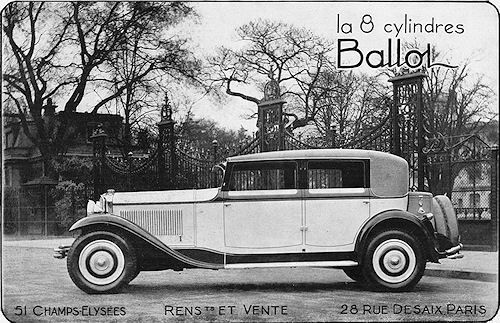 Cornered by the consequences of the Great Depression of 1929, the Ballot company had no choice but to accept entry of Hispano Suiza in its capital. The new partner is using 8-cylinder Ballot chassis to built it's new model HS26. A 33 h.p. 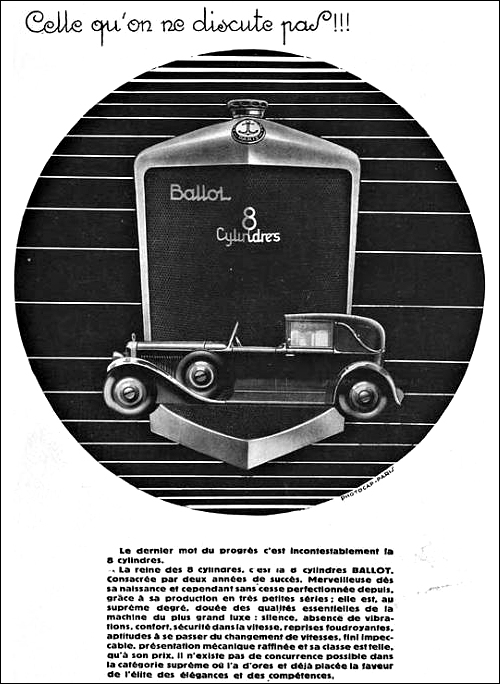 six-cylinder sports model figures amongst the new types of Ballot cars for 1931. It has a number of interesting features incorporated in the chassis layout, and a novel point in regard to the engine is the Nitralloy cylinder barrels. The bore and stroke dimensions are 95 mm x 110 mm. and the car is capable of a speed of 80-90 m.p.h. on the road. Chassis price, £1,000.